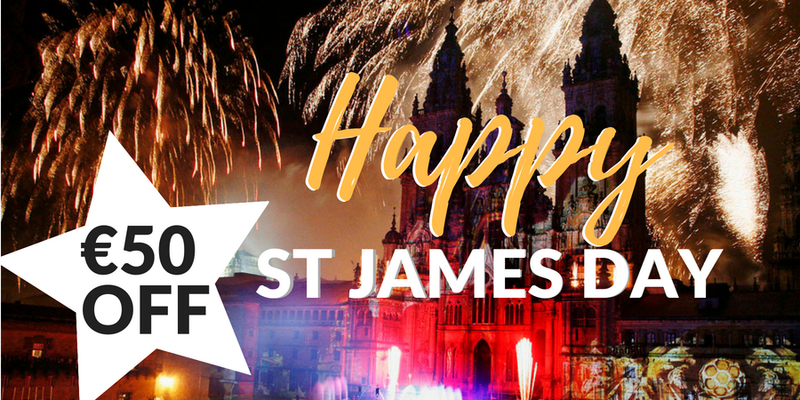 Happy St James Day! To celebrate this important day of the Camino de Santiago calendar, we are running a Camino special for limited time only. Get €50 off your Camino trip if you book by the end of July. Just quote the code STJAMES2018 when requesting your trip quote from CaminoWays.com. This Camino special offer is valid for bookings confirmed from 24th to 31st July 2018 and you can travel any time this year. The Camino de Santiago trails attract thousands of pilgrims of all nationalities each year with over 300,000 making it to Santiago last year alone. 17522 US pilgrims; 6,643 Irish pilgrims; 5768 British pilgrims and 4890 Australian pilgrims got their pilgrim certificate in Santiago de Compostela in 2017. 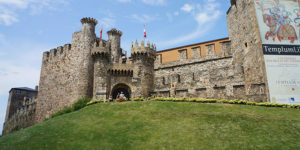 At CaminoWays.com we specialise in walking and cycling holidays, both guided and self-guided, on the Camino routes across France, Portugal and Spain; as well as other great destinations such as the Via Francigena in Italy. *This offer can’t be combined with other discounts and can’t be applied to existing bookings. Offer is valid for new bookings of 7 nights minimum, confirmed from 24th to 31st July, both days included. Please note that if this offer is not mentioned at the time of booking, the discount cannot be added to your trip after confirmation. 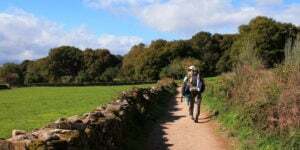 You can see out all our Camino trips here: Camino routes. Hi Donna, thank you so much for getting in touch. We don’t include air in our packages at the moment but our travel experts can advise on the best way to get to the starting point, closest airport, etc… Would you like to send us an email to info@caminoways.com with the details of the trip you have in mind and we’ll be able to assist? Kindest regards. Hi Maria, Do you have a package that includes air. Would love a groupon getaway thru you. 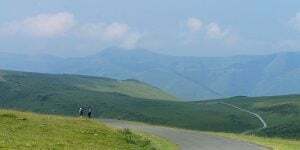 😉 Thank you for info – we are planning a 7 day bike trip either April or June 2019 and airfare has been our hurdle. Maybe you could partner with Groupon and take your business to the next level.